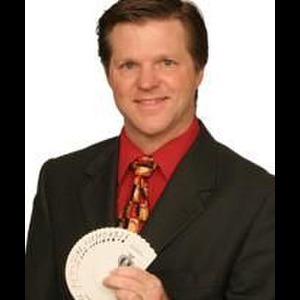 Frank Star is the top-rated GigMasters magician for northern California and performs regularly at corporate and private events. 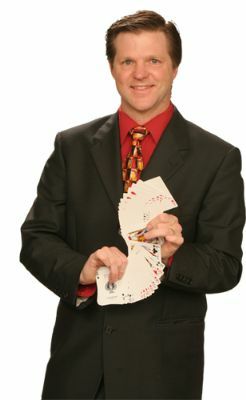 Frank has been performing magic for the close to 20 years. Frank's unique style works in any type of venue from professional sporting events, to grand openings, to celebrations, and private dinners. Recent clients include Abbott Laboratories, Anheuser-Busch, Coca-Cola Inc., Con-way Frieght, First Northern Bank, Frito Lay Inc., Ikea Corporation, NEC Inc., Sacramento River Cats, Taco Bell, Travis Air Force Base, Washington Mutual Bank, and Wincor Nixdorf International. Frank's engaging performances have amazed audience of all ages close-up and on stage. Frank is available for private parties and corporate events including trade-shows, comedy nights, parties, fundraisers, proms, grad-nights, celebrations, street performing and holiday events. Frank's show was a lot of fun. He interacted with our guests and got as lot of people involved. The comedy and mentalism together is a real winner! Frank Is a true professional when it comes to entertaining children and adults. He made sure everyone was involved in the show and did not leave anyone out. His sense of humor kept everyone on their toes. I would definitely invite Frank to our next party!! Frank is an excellent magician. He was very professional, fun, entertaining, and personal. Frank was a great addition to our Christmas Party. I would highly recommend him for any party! We loved the performance. Frank was wonderful. Fun was had by all. Definitely would recommend him to any age group. Frank was easy to work with. Very professional and accommodating. He was willing to make adjustments for our group and always communicated promptly. This was a banquet for High School students and the loved him. They was amazed and entertained. I would highly recommend him. We had a blast with Frank Star! He was able to entertain a group of all ages! The little ones were amazed and the older kids were perplexed! We will keep him in mind for next summer! I found him very easy to contact throughout our experience. He was very helpful any time I needed to ask him a question. He was also very respectful of our desire to have a family friendly show and I think he accomplished that. Thank you for your show! 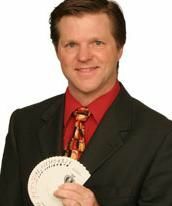 Our staff thoroughly enjoyed Frank's magic! We were stumped at his tricks and enjoyed everything with smiles and laughs! It was a great addition to our normally ho hum Christmas lunch! Frank arrived and engaged the audience even during his set-up. He provided a full one hour show - none of the 10 minute set up and 10 minute tear down with only a 40 minute performance. He tailored the performance to the age group. Everyone was very pleased with the performance. I would highly recommend Frank to my friends. Please note Frank Star will also travel to El Macero, Dixon, Sacramento, West Sacramento, Woodland, Broderick, Clarksburg, Winters, Yolo, Hood, Madison, Elmira, Represa, Rio Linda, Elk Grove, Vacaville, Courtland, Elverta, Esparto, East Nicolaus, Knights Landing, Zamora, Nicolaus, North Highlands, Antelope, Carmichael, Pleasant Grove, Robbins, Walnut Grove, Capay.